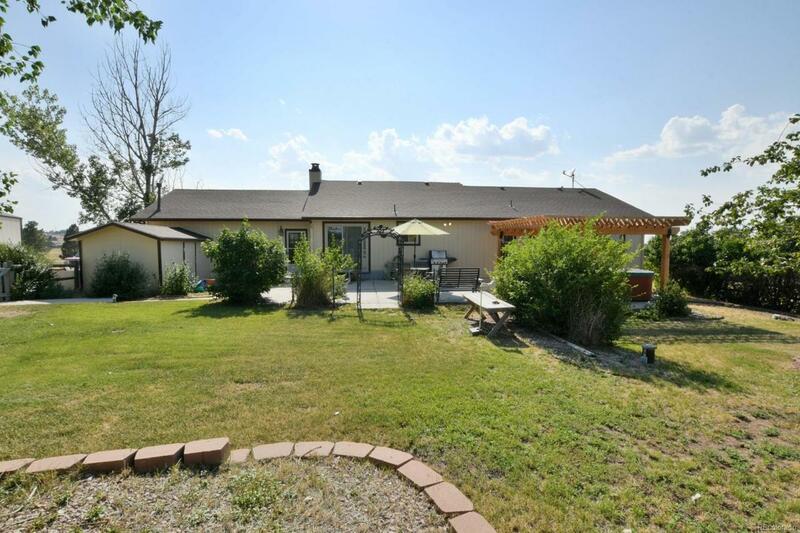 Rural property, 2.09 acres, but very close in to Parker. Spectacular mountain views of the Continental Divide from the front redwood deck. This 4 bedroom, 3 bath ranch style home with finished basement is your private escape from hectic, overcrowded Denver. Spacious kitchen with granite counters, new microwave, & breakfast bar. Expansive rear patio in a natural, landscaped yard that attracts a variety of native wildlife. Just steps from the back door is a hobbyist's dream workshop. Whether you are parking a motor home, car collection, power boat, or a full complement of woodworking tools, the 990 sq. ft. shop will accommodate your leisure pastime. New roof and dishwasher to be installed. Close to E-470 for access to DIA. In the quality Douglas County school district. No HOA. Strategically placed to provide easy shopping from Southlands Mall to a full array of Parker shops and restaurants. If you want peace and quiet and some elbow room, this is the perfect place to call home.